The new U.S. sanctions against Iran can have positive consequences for Turkey, Iranian diplomat told Anadolu Agency. "This is the best opportunity for Turkish companies to increase their presence in Iran. They can use this benefit to conquer the part of market that was acquired by European and Chinese companies, " Seyed Hafez Mousavi, the commercial counselor for the Iranian embassy in Ankara, said. On Monday, the United States reimposed sanctions targeting Iran's energy and financial sectors along with its shipping industry. More than 700 individuals, entities, aircraft, and vessels were blacklisted, including 50 Iranian banks and their domestic and foreign subsidiaries. More Iranians are using social media to vent anger at what they see as the corruption and extravagance of a privileged few, while the majority struggles to get by in an economy facing tighter U.S. sanctions.The country has been hit by a wave of protests during the last year, some of them violent, but as economic pressures rise, people are increasingly pointing fingers at the rich and powerful, including clerics, diplomats, officials and their families.One person channelling that resentment is Seyed Mahdi Sadrossadati, a relatively obscure cleric who has amassed 256,000 followers on his Instagram account with a series of scathing posts aimed at children of the elite.In one recent post, he blasted the "luxury life" of a Revolutionary Guards commander and his son, who posted a selfie online in front of a tiger lying on the balcony of a mansion.Putin discusses US sanctions on Iran with his security councilOpenly criticising a well-known member of the powerful military unit that answers to Supreme Leader Ayatollah Ali Khamenei is in itself an unusual act of defiance. "A house tiger? What's going on?" Sadrossadati wrote. "And this from a 25-year-old youth who could not gain such wealth. People are having serious difficulty getting diapers for their child. "The Iranian rial currency has hit 149,000 to the U.S. dollar on the black market used for most transactions, down from around 43,000 at the start of 2018, as U.S. President Donald Trump vowed to pull out of the nuclear deal between Tehran and world powers aimed at curbing its nuclear programme.That has sent living costs sharply higher and made imports less accessible, while the threat of financial punishment from the United States has prompted many foreign companies to pull out of Iran or stay away.The situation could get worse, as additional sanctions come into force this week.India aims to sign pact with Iran for oil payments in rupees"SULTAN OF COINS"Wary of growing frustration over the relative wealth of a few among the population of 81 million, Khamenei has approved the establishment of special courts focused on financial crimes.The courts have handed out at least seven death sentences since they were set up in August, and some of the trials have been broadcast live on television.Among those sentenced to death was Vahid Mazloumin, dubbed the "sultan of coins" by local media, a trader accused of manipulating the currency market and who was allegedly caught with two tons of gold coins, according to the Iranian Students' News Agency (ISNA).The tough sentences have not been enough to quell frustration, however, with high profile officials and clerics in the firing line.Russia's Lavrov says US sanctions against Iran are not legitimate"Because the economic situation is deteriorating, people are looking for someone to blame and in this way get revenge from the leaders and officials of the country," said Saeed Leylaz, a Tehran-based economist and political analyst.Washington is likely to welcome signs of pressure on Iran's political and religious establishment, as it hopes that by squeezing the economy it can force Tehran to curb its nuclear programme and row back on military and political expansion in the Middle East.Public anger among Iranians has been building for some time.Demonstrations over economic hardships began late last year, spreading to more than 80 cities and towns and resulting in at least 25 deaths.CLERICSIn addition to his written contributions, Sadrossadati has posted videos of debates between himself and some of those he has criticised.In one, he confronted Mehdi Mazaheri, the son of a former central bank governor who was criticised online after a photograph appeared showing him wearing a large gold watch.In a heated exchange, Sadrossadati shouted: "How did you get rich? How much money did you start out with and how much money do you have now? How many loans have you taken? "Mazaheri, barely able to get in a reply, said he would be willing to share documents about his finances.Children of more than a dozen other officials have been criticized online and are often referred to as "aghazadeh" - literally "noble-born" in Farsi but also a derogatory term used to describe their perceived extravagance.High-profile clerics have also been targeted.Mohammad Naghi Lotfi, who held the prestigious position of leading Friday prayers at a mosque in Ilam, west Iran, resigned in October after he was criticised on social media for being photographed stepping out of a luxury sports utility vehicle.Facebook posts labelled Lotfi a hypocrite for highlighting ways that ordinary Iranians could get through the economic crisis during his speeches. The outcry was a major factor in his decision to resign from a post he had held for 18 years. "The hype that was presented against me in this position ... made me resign, lest in the creation of this hype the position of the Supreme Leader of the Islamic Revolution be damaged," Lotfi told state media after stepping down. "The issue of the vehicle ... was all lies that they created in cyberspace," he added.He was one of at least four clerics in charge of Friday prayers who have resigned in the last year after being accused on social media of profligacy or financial impropriety. Washington granted China, Greece, India, Turkey, Italy, Japan, South Korea and Taiwan a 180-day waiver for importing Iranian oil, which eased worries of supply reduction in the global markets after the sanctions went into effect. 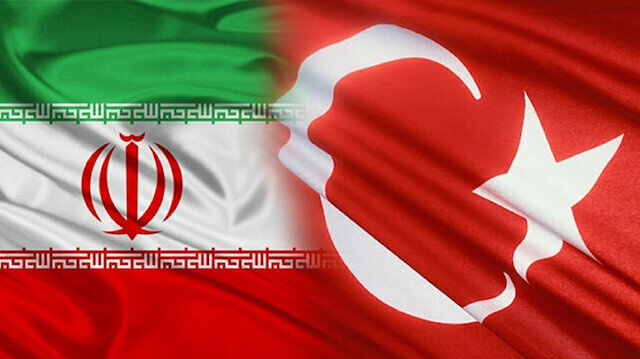 Mousavi asserted that Turkey and Iran can expand cooperation in sectors such as tourism and investment. In 2017, bilateral trade volume between Turkey and Iran totaled $10.7 billion, up nearly 11 percent year-on-year. In the first nine months of 2018 the trade volume was at $7.5 billion. Germany on Tuesday criticized new U.S. sanctions against Iran, warning that they may lead to “destabilization” and strengthen “radical forces” in the country.“We think that this step is wrong,” German Foreign Minister Heiko Maas told a news conference in Berlin, adding that Germany would take appropriate measures, together with its EU partners, to keep the nuclear agreement with Iran alive.“We are taking necessary measures so that the Iranian economy would not collapse fully, and lead to a destabilization situation that would actually support the radical forces in Iran,” he said.Facing new sanctions, Iranians vent anger at rich and powerfulGermany’s top diplomat also warned that new sanctions on Iran may further escalate tensions in the Middle East and become a threat to Europe’s security.He underlined that the agreement signed with Iran in 2015 was the most effective way to prevent Tehran from developing nuclear technology for military purposes.“We are now working to forge new instruments within the European Union, such as the special purpose vehicle, to make sure that business can still be done with Iran,” he said.World powers agreed in 2015 to lift economic sanctions imposed on Iran in return for the latter agreeing to limit its nuclear activity to peaceful and civilian purposes.But in May, U.S. President Donald Trump unilaterally withdrew from the nuclear agreement, accusing Tehran of cheating on the agreement, also known as the Joint Comprehensive Plan of Action (JCPOA).The agreement was signed between Iran and the five permanent UN Security Council members -- US, China, Russia, France, and Britain -- plus EU heavyweight Germany. Turkey mainly exports gold, steel profile, automotive supply products, fibreboard, land transportation vehicles to Iran while it purchases raw petroleum materials, natural gas, plastics in primary forms, metals other than iron and organic chemicals from Iran. Mousavi said that sanctions will barely effect Iranian economy as its not totally linked to the international financial and monetary system. He added that the sanctions can be a good opportunity for Iran to decrease its dependency on oil revenues and to advance its non-oil production exports. "We are going to implement policies to expand our non-oil production exports and enhance our production capacity," Mousavi said. Mousavi stated that Iran gives priority to the target of boosting relations with neighbor countries, Middle East region and Commonwealth of Independent States. Highlighting that private sector plays an important role to achieve this goal, he said most of the companies located in surrounding region are not linked to the U.S. companies. "So we are not worried about negative consequences of the U.S. sanctions," Mousavi asserted. On the trade in national currencies with Turkey, Russia and China, he said it is in the Iran's agenda. "We had good negotiations on this issue. They expressed their readiness to use national currency to work with Iranian companies." Mousavi said using Turkish lira instead of U.S. dollars would also be welcomed by Iranian companies. "Turkey is our main partner and neighbor, we prefer to use lira instead of dollar," he said. Mousavi stressed that Iran is also ready to use financial channel proposed by the six parties -- Britain, France, Germany, Russia, China and Iran -- remaining in the Iranian nuclear deal after U.S. withdrawal as an alternative payment method to break dominance of U.S. dollar in financial system. "We can use this opportunity to expand our relation with the European countries," he said. Welcoming European officials’ statements about the U.S. sanctions, Mousavi pointed out that Iran can enhance its relation with Europe through boosting cooperation with small and medium-sized enterprises rather than large-sized companies. "Our cooperation with Europe will not be suspended or stop just because the U.S. sanctions are reinstated," Mousavi said.